Almost any transaction is open to negotiation, with customers constantly being on the lookout for the best value and the most concessions. When this happens, even the best-looking deals can turn into bad bargains, or worse, create long-term damage to your client relationships. If you and your team are looking for sales negotiations training, you've come to the right place. 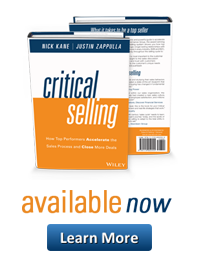 Our award-winning Critical Sales Negotiations Skills™ program provides sales professionals with the skills, best practices, and behaviors to achieve win-win outcomes for yourself and your customers. Contact us today for a no obligation, totally free discovery call. If you want to speak to one of our sales performance experts right away, you can reach us toll free, at 1.800.979.0079.